How Accurate Are Files From China? There are many factors to consider when discussing file accuracy. First, how are we defining what “accurate” means? Most people refer to a file as accurate if the listed special need is correct but I have seen people say that their child’s file wasn’t accurate because it said that their child was drinking from a cup but really they were still taking a bottle. If you adopt from Korea, which is kind of the gold standard of the international adoption community, you will get a mountain of medical information. You will know the exact number of cigarettes and alcoholic beverages consumed by the birth mother, your child will have regular medical care and check-ups in a country with a world class medical health care system. You should not expect this sort of detailed information from files in China. Consider the care you might receive in the United States in rural Appalachia compared to a teaching hospital in a major city. In China, the health care situation varies even more widely. When a child’s file is prepared in China, the doctor examining the child may not have the experience to correctly diagnose a complex medical condition or rare disorder. A child might have only the most cursory exam in order for their file to be prepared. Some orphanages have enough funding for children to receive regular and expert medical care equivalent to what we have in the United States, while other orphanages are underfunded and the children will have little access to healthcare other than the required medical exam. Similarly, with each orphanage in China being independently run, some will produce files that are highly accurate while others are pretty sloppy in filling out the forms. Because of these factors, while files from China are generally accurate, they are rarely completely accurate. 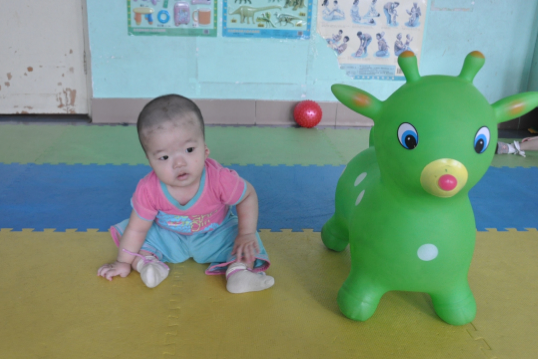 This blog post describes a fairly typical occurrence where the main special need is accurate, the “repaired” need was more involved than expected, and additional minor needs were undisclosed or undiagnosed in China. It is common for children to have minor conditions which are not listed in the file. For those adopting very young children, they might not have been old enough when the file was prepared for an accurate diagnosis to have been made. If a child is only 6 or 9 months old, you don’t know yet that they will have delays in walking or talking which will be evident by the time you meet your now 2 year old on adoption day. Some conditions, such as tooth decay, are not considered major enough to be worth noting. Dental hygiene in China is not the same as it is in America and few orphanages have the nannies brushing the teeth of every child twice a day. My son seemed completely unfamiliar with a toothbrush when we adopted him, and that is the norm for most. You should assume your child will have at least some tooth decay. It would not be unusual for your child to need teeth extracted, enough fillings to require a surgical suite be booked so the work can be done under anesthesia, or dental work to the tune of thousands of dollars. Some conditions might not be noticed in a quick medical exam. The doctor doing the exam might not notice head tilting that indicates a vision problem, mild facial asymmetry, or other indicators of an underlying problem. These would more likely be noticed by the nannies who work with your child but they are not directly involved in preparing the file. The sort of standard tests and developmental checks that we have here in America are not routine in Chinese orphanages. Hearing tests are rarely performed so children can often have up to moderate hearing loss not be detected if they have enough hearing to compensate. While head circumference measurements are important to American doctors, it is not a standard used in China so the measurements provided for files are often incorrect because they are not measured properly. Your child’s condition could have worsened since the file was prepared, or they could have developed a new condition such as a hernia. In boys, testicles can wander around in the first year so your son might have developed an undescended testicle when you adopt him that was in the correct place when the file was prepared. Because you are not the legal parent until after the adoption is finalized, you might not be notified that your child has had surgery or that they now have a burn scar from an accident. The only official statistics I have been able to find on this are from the Donaldson Institute Study in 2013. They studied 271 children adopted from China, but not all were through the special need program. Of 105 children who were adopted with identified special needs through the special needs program, 32% of the children were diagnosed with an additional special need once home. 50% of the all children (this is special need and non-special need programs both) had completely accurate medical information. Parents surveyed said that they experienced incomplete medical information, their child had an undiagnosed condition, their child was diagnosed in China with a medical issue they didn’t actually have, or that their child’s medical condition was more severe than indicated. Most parents indicated that they felt the issue was because of the poor quality of medical records. Translated medical records contained less detail or were less accurate than the original language records. Some parents indicated that poor medical care in China was the reason for the discrepancy between their child’s condition and diagnosis. A few parents felt that China had lied or been misleading in the reports they had been given. These statistics might sound a little shocking but keep in mind that it is a small sample size. Additionally, they didn’t include the dates of the adoptions. The fact that half of the adoptees included were from the NSN program would indicate that the adoptions were from an older time period when the medical information given to adoptive parents was scant. It said that the most common diagnosis was “developmental delay” which I find completely understandable for those NSN girls adopted in the 90’s. The orphanage conditions were poor then and most came home an under a year of age having never spent much time out of a crib or chair. Undiagnosed conditions would include the “minor” medical conditions I mentioned above such as a heart murmur, scoliosis, or hearing loss from untreated repeat ear infections. Are there things I can do to try and make sure I have the most accurate information in order to make a decision on whether or not to adopt this child? Yes, the best thing you can do to make sure you are maximizing accuracy is to have the file reviewed by a doctor who specializes in international adoption. This can cost several hundred dollars, so many families are tempted to skip it in favor of having their local pediatrician review the file or sometimes no doctor at all. Even if you are certain that this is your child, having a doctor review the file can give you more information to be prepared to meet the child’s needs. 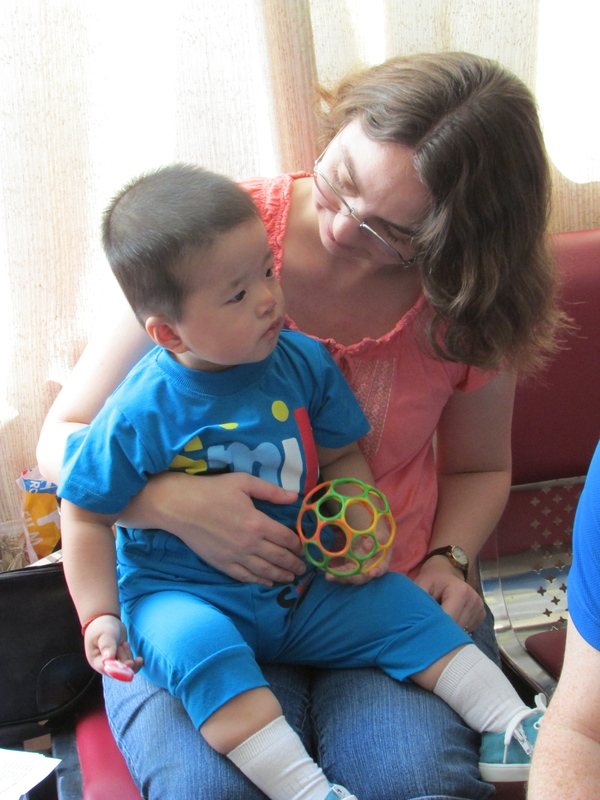 International adoption (IA) doctors have experience interpreting files from China and understand how Chinese doctors typically diagnose and how orphanages typically prepare files. Remember that the language difference can also cause translation issues. An international adoption doctor can tell you “When the file says ______ what it usually means is _____.” For example, Treacher-Collins syndrome is not recognized in China, so those children are usually listed as having Down syndrome. Dwarfism is often listed as hydrocephalus in younger children (children with dwarfism have a disproportionately large head) or short stature for an older child. When you have the file reviewed, it is important to include the Chinese language file as well as the English translation. Even if you or the doctor does not read Chinese, there is often additional information included. Sometimes additional photos are attached the end that aren’t also included in the English translation. The developmental section has an area where the person submitting information checks boxes for developmental milestones which are dual Chinese/English. The English transcription the boxes checked is not always accurate. In addition, seeing which boxes were not checked can be informative. In the English transcription, only the information from the checked boxes is included. Two issues that frequently come up when reviewing files are head circumference measurements and developmental delays. 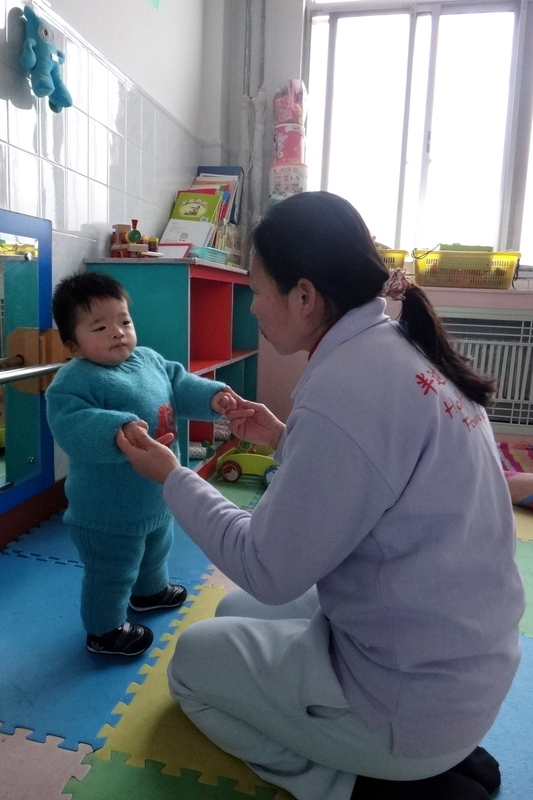 Head circumference is not used as a development marker in China so orphanage personnel are often not skilled at taking accurate head circumference measurements. The head circumference measurements from one of my sons went from off-the-chart small to off-the-chart large in a six month time period, which is a good indicator that whoever was taking them was not taking them correctly. A good IA doctor will be aware of this and should look at the overall picture the measurements paint, taking into account not just one problematic set of measurements, but also their overall development and whether or not their head looks proportionate in photos. Not all IA doctors are equal. It is important to remember that a good IA doctor will only go over the information in the file, giving you various scenarios so that you can make the decision as to whether or not the child is a good fit for your family. Any IA doctor who tells you that you should not adopt a particular child or describes the child in a derogatory way, saying, for example, that the child would be lucky to get a job bagging groceries, is not being professional, and you should seek a second opinion. The doctor’s job is not to make judgments about the child, but to give you the information they see so you can make the right decision for your family. It is also important if you have a solo doctor rather than a clinic review a file that you use someone who specializes in adoptive medicine as a career rather than someone from another specialty who moonlights reviewing files to bring in a little extra money. If a doctor isn’t seeing as patients any of the children whose files they have reviewed, they are only seeing half of the file picture. Check with your agency for IA doctor or clinic recommendations. Children who are in institutions do not develop at the same rate as children raised in families. A general rule of thumb is that the child will lose one month of development for every three months in an institution. This would mean that it is not at all unusual for a child in an orphanage to not be walking at a year old. An international adoption doctor should be adept at sorting out what are typical orphanage delays and what are true developmental delays due to an underlying condition or syndrome that may not have been diagnosed in the file. They are also aware of which special needs can have correlated developmental delays. Children with heart disease, for example, are often delayed both physically and developmentally because their body puts every available resource into compensating for the heart problem. 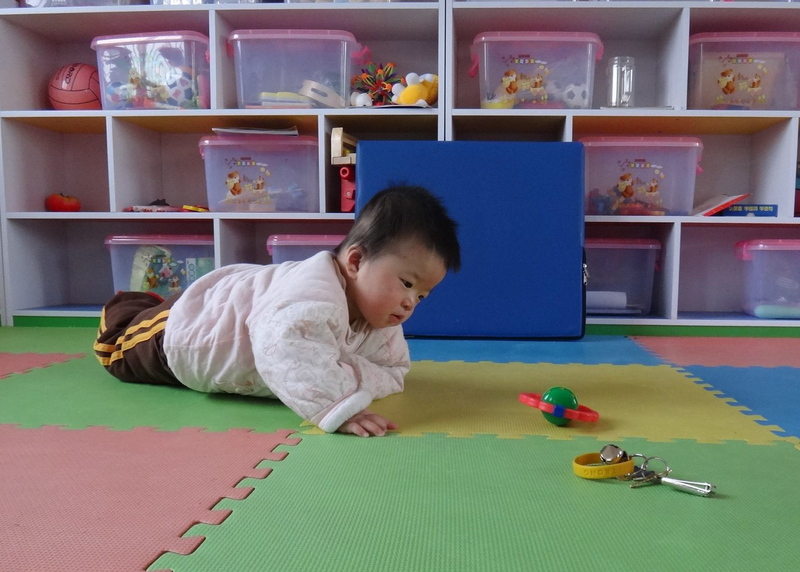 Most children with orphanage or special need related developmental delays make rapid progress once they are home and their needs are addressed. However, there are never any guarantees that the delays will be overcome. You should also keep in mind that a “developmental delays” label in a file typically indicates that the child is even more delayed than their same-age peers in the orphanage. Another important factor is how informed and objective perspective adoptive parent can be. Parents having unrealistic expectations is far more common than inaccurate files! It is very easy for parents to fall in love with a picture. I have heard many people say “We didn’t have the file reviewed because we knew it wouldn’t matter–she was our daughter!” Which is not necessarily a problem unless the reality doesn’t meet up with the fantasy in a way the parents are completely unprepared for when they meet their daughter. Tales abound in the adoption community of parents choosing not to finalize an adoption for reasons which indicate that they were inadequately prepared. She walked with a slight limp, one of his eyes was droopy, etc. It is especially important to be well informed about the special needs which you decide to be open to. If you think that albinism is just a matter of extra sunscreen and sunglasses (as I have seen people say online) then you may be very caught off guard when you are handed a child with significant visual impairment. I have a friend who advocates for children with heart issues, and she has talked to parents who seem to believe that their child’s heart condition will be completely repairable despite being clearly told the contrary by doctors who have reviewed the file. When you are in love with a picture, it can be easy to fall into denial about the true state of the child’s health. As Shecki said, sometimes it can be easy to miss warning signs from the photos. At other times, they can be misleading in the other direction. I have known people who worried because they only received photos where the child wasn’t smiling or making eye contact, but after the adoption they received photo files from the orphanage (this is common practice with Half the Sky orphanages) which showed the child happy and engaged. We experienced that ourselves, when we only received photos of Leo walking with a toy. Although the update said that he had begun to walk, we weren’t completely sure he really was walking. When I uploaded the files from my HTS disk I found several photos of Leo chasing other children around the room. It would have been reassuring to have those ahead of time! While access to information from private charities is not available, it is becoming more common for parents to be provided with video now, and this can certainly be more informative than photos. It is also possible to ask questions of the orphanage, to try and follow up on things that a doctor feels might point to as problematic. However, there is no guarantee that the questions will be answered. Some orphanages are better at communicating than others. Generally, you want to ask as few questions as possible and word them carefully. You can ask for testing, and at times you can pay for more expensive tests which the orphanage would not have normally done. Sometimes the answer will be no. We asked for a hearing test on Leo, as well as photos showing his ears so that we could try to determine if his funny shaped ear had an ear canal. The provided photos were not from an angle that showed his ear canal, and the orphanage replied that there was no need for a hearing test because they felt his hearing was fine. We had assumed that Leo would not have hearing in that ear, and so we were comfortable going forward without the additional information we had requested. In our case, the reality turned out better than our expectations. Sometimes it is possible to get additional information on children from other avenues. There are American run foster homes in China which post pictures or videos. They cannot directly provide information to parents before the adoption is finalized but if you know that your child is in a home which has a blog or facebook page then you can often get unofficial info from those sources. Many adoption advocates request updates or keep track of files as they pass from agency to agency. Unfortunately, it sometimes happens that one agency will have video or photos which are not passed along with the file when it leaves their agency. Files which come from a partnership will have access to more information than those an agency doesn’t have a relationship with. Often if you are adopting from an orphanage which your agency is partnered with then you will find agency personnel have met with your child, or they might have been evaluated by an American doctor during an agency visit to the SWI. It is very common for parents to be able to get updated photos from other parents who are adopting from the same orphanage and travel sooner. 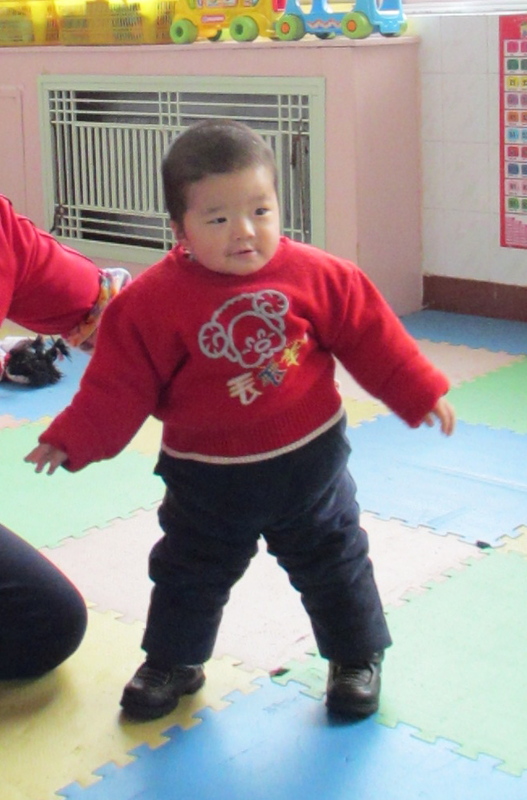 The only picture we received of Leo standing unassisted was taken by a family who traveled to Leo’s orphanage to adopt a few months before we traveled. Having access to this additional second hand information can be mixed. Often advocates can use it to successfully find a family for a child who has a file which is outdated or inaccurate. Many children have languished because their file indicates that they have low intelligence, maybe from an “intelligence test” performed when they were a toddler, but people at the foster home or someone who worked with them at a summer camp say that the child has normal intelligence and is a joy to be around. Or over a number of years their special need has improved and they are basically healthy but the file doesn’t reflect that because it is years out of date. Advocates do incredibly good work in helping these “hidden gems” to find homes. However, sometimes advocates can minimize a child’s needs by being overly optimistic about how much a child can improve once home. They encourage families to step out in faith, saying “She will just thrive once you get her home. All she needs is a loving family and she will catch up!” Many children do make incredible improvements once they are part of a family and receiving regular medical care and therapy services, but there are never guarantees about the future. Going back to the previous point about having realistic expectations, be sure to ask yourself if you would love and cherish this child as a part of your family as they are right now, as presented in the file, or if you really only comfortable with the potentially improved child. “When considering any special need, you should think of the worst case scenario, and determine whether your family could handle that or not. When I considered “delays,” tacked on to the end of Luke’s primary special need (which, ironically, aside from one specialist appointment has been a non issue), I thought “worst case scenario” would be that he’d still be a little behind when he was school age, and would need an IEP to help him get through school with his peers. Never in my wildest imaginings did I think that “delays” meant he would not walk, speak, or toilet train, and that he would not be in a regular classroom at all. So what if the worst happens and you, like Shecki, arrive in China to find a child that does not match up at all with what you were expecting? I spoke with another parent, who wished to remain anonymous, who reviewed the file of a girl who had some markers which could indicate a potential syndrome. Initially they decided not to submit a LOI but later found sources of additional information. This girl was involved in one of the American charities so they were able to find blog posts about her and communicate with people who had met her. With this new information, they felt confident enough to move forward with the adoption. However, once they arrived in country the girl was extremely delayed and not the active and engaged child they were expecting. At this point adoptive parents are faced with a difficult decision. You have 24 hours to decide to finalize the adoption. When you have a child who is not making eye contact, who is not communicating, and is not doing things you have been told they can do such as walking or crawling, you must quickly decide if this is medically related, or if they are reacting to the trauma of the adoption. These children have just been taken from everything familiar to them and handed over to strangers. It is not unusual at all for children to cry for hours, to sit limply and not make eye contact or react to your voice, or to stop walking and talking. When parents reach out to other adoptive parents in that situation, they are frequently reassured that the child is in shock, and they will come around. Request a delay before you finalize the adoption. It can be possible to add an extra day for you to gain extra information and for your child to adjust. Try to contact a doctor at home to get their advice. While it can be difficult to arrange in 24 hours with the time difference, if you describe the child’s behavior and send photos or video then it is possible to get a medical assessment. Try to talk to the child’s nanny. It is not always the child’s primary nanny who accompanies them to the civil affairs building, but it is possible that the people who accompanied your child knows them well enough to say what their usual behavior is. Your guide may have the orphanage director’s phone number, so questions could be asked through your guide. Ultimately, you will need to decide if you want to finalize the adoption. Becky, writing at The Red Thread blog, gives a brutally honest account of when she met her daughter, how scared she was looking at the possibilities of her being near death or facing lifelong delays, and making the conscious decision to commit anyway. A friend who wrote on her blog about being scared but finalized the adoption anyway said she was bombarded with messages from people who said they had felt the same way. So if you are scared, you are not alone. So many families are scared to death when they sit down to sign that paperwork. Probably for this reason, families who decide to disrupt the adoption and leave the child in China can be harshly judged by the adoption community. Certainly, we have all heard stories where the potential adoptive parents seem to behave as if they received a defective product and returned the child for the most superficial of reasons. But for most parents (hopefully), this is a heartbreaking decision which is not easy at all. They love this child, and they wonder if he or she will receive good care if they leave them in China. Sometimes children who are rejected are deemed “unadoptable” by China and their file is pulled so that they do not get a second chance for a family. But if a family truly knows that they cannot provide the care that a child needs, and they did not have the information to know that ahead of time, then it is the best decision to not finalize the adoption. One final topic to discuss is the frequent suggestion which I’ve seen that a family should bring the child home anyway, even if they know they cannot parent the child because “there are people here who will adopt them.” I want to point out that this is completely unethical. 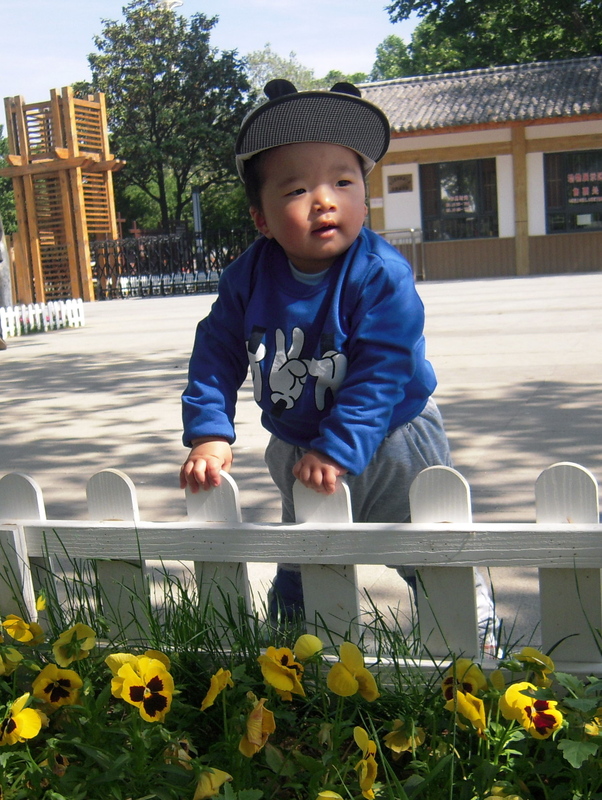 This child is under the guardianship of the Chinese government, and the Chinese government has given your family, and only your family, permission to adopt them. 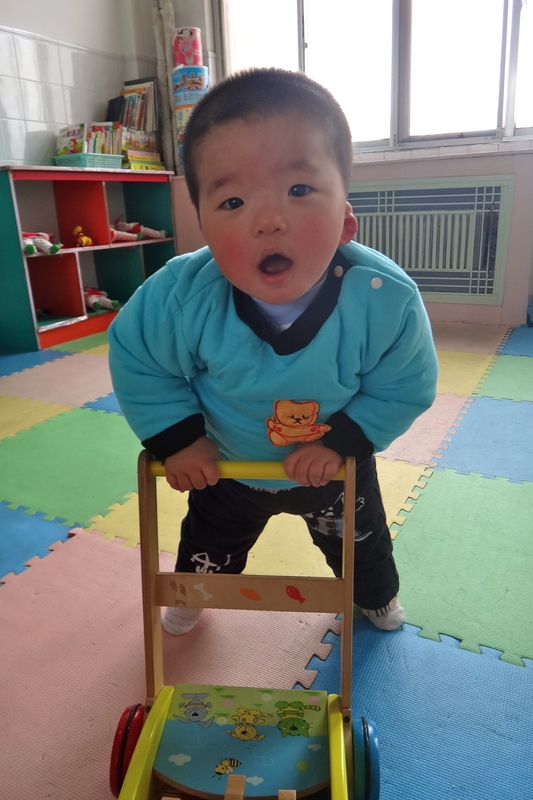 On all of the documents you sign for China, and when you take the oath at the US consulate, you are promising that YOU are adopting this child forever. It doesn’t matter if you think they will be better off in the US than in their orphanage in China. It doesn’t matter if you think you know a family who can handle the child’s needs better than yours. If you knowingly adopt the child intending to turn them over to a family when you return to the US, you are committing fraud and are guilty of human trafficking. If you are reading this as a potential adoptive parent, then you might be scared out of your mind now. I can only assure you that while these situations happen, they are a minority. I have tried to give you advice to try and avoid this in advance but there is never any guarantee in adoption any more than there is in giving birth. My agency will often write on a child’s photolisting that the child would do best with parents “who are comfortable with the unknowns.” Adoption is a leap of faith, and even when you adopt a child whose medical file matches perfectly with their physical condition you can find that you were unprepared for the child’s emotional needs, as they act out of trauma or neglect. You have to learn to be comfortable with the unknown, and be prepared to face the future together, no matter what it brings. This entry was posted in Uncategorized and tagged Adoption Resources, International Adoption on December 31, 2014 by minefam. Personally, I love reading your posts and I hope you continue. It is very hard to prepare for an unknown. We adopted two children last year. The one I worried about (emotionally) turned out to be relatively easy. The one I wasn’t worried about turned out to be extremely difficult. And when I met her and saw some of her first behaviors I wanted to run screaming, but my husband talked me out of it (and later wondered if he made a mistake). This has been a stretching, growing, painful experience. And where I once felt very judgmental of other people’s choices, I am much humbler now. I can honestly say we have all come a long way as a family. I can honestly say we still have a ways to go. But I have hope now. I wish I had read more of the “honest” experiences before traveling, though I don’t know if I would have fully understood or accepted, or if it would have changed any of our decisions or our perspective, but at least I MIGHT have thought a little more on certain subjects. So I thank you for sharing these harder topics that other bloggers, and especially advocates, gloss over or hide. It IS important for children to find families, but it’s very important they find the RIGHT family, the one that can meet their needs right where they are. Thank you so much for this honest, practical article! This is one of the most helpful things I’ve read! We are just beginning our adoption journey and the whole special needs things is overwhelming me and terrifying me! Your article is a huge help! Thank you and God bless! This blog is so important and should be required reading for anyone adopting. As an educator, I think it’s important to present all the information to allow families to make their most educated decision. And you have done that here. And thank you for addressing the adoption community judgement as well. We will never know about a person until we have walked a mile in their shoes. thank you and keep writing. Your information truly makes a difference. Thank you so much for your kind comment! 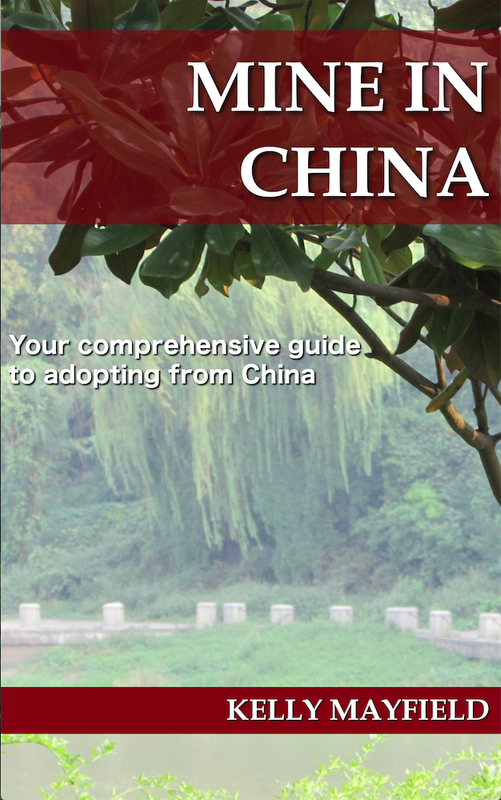 Please feel free to mention my book as well to people who are considering adopting from China. It has even more information than I have posted on the blog.